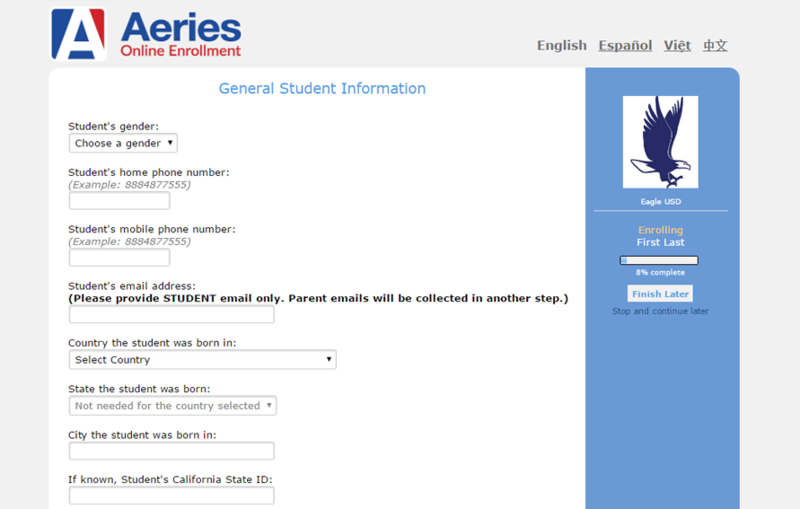 Aeries Online Enrollment (formerly Aeries AIR) allows parents to quickly start the process of enrolling a new student for school with a simple online form. Information about the student, such as emergency contact, medical history, and language information will be collected. 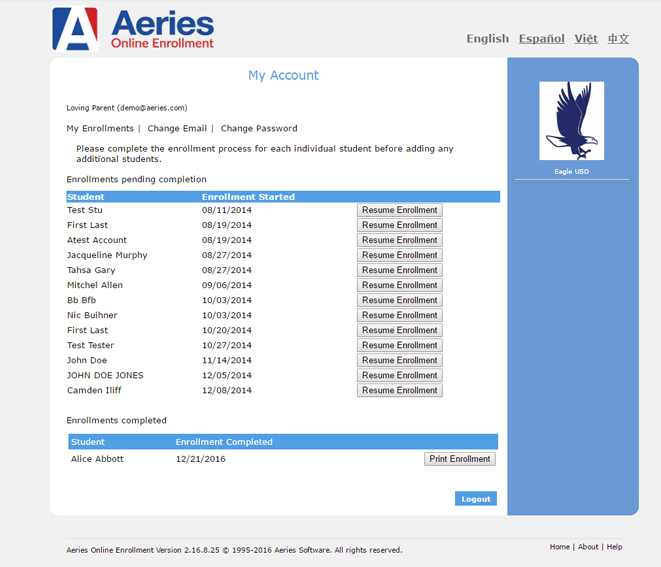 Upon completion, the student’s information is automatically sent to the school in Aeries. 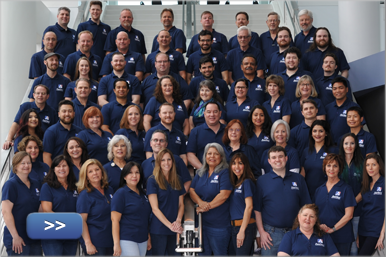 Aeries Online Enrollment provides a dynamic solution for every district to complete the process of enrolling a new student with their registration data. A multitude of options are available to enable/disable questions and customize pages with a WYSIWYG editor. Gone are the days where schools need to collect and manually enter data into Aeries. With this web-based solution, parents enter all necessary data in a wizard-style interface that guides them through each set of questions, including in multiple languages as the district allows. Throughout the system, validation checks are made to ensure all text fields, dates and options are made before continuing on to the next step. Customizable supplemental multiple choice questions and authorizations allow districts to collect data they need. Once complete, a final confirmation page summarizes all data collected. Registration data is kept secure in a separate SQL database from your live Aeries data. Within Aeries client version and Aeries web version, new registrations can be easily downloaded with a few clicks. Schools can also access the summary page for any parent to aid in any troubleshooting of printing, or hard copy signatures that may be required. Once a registration is imported in Aeries, changes or corrections to any data can be made. Download our white pages here.